This Cheese Fondue is perfect for a high tea with friends or as a suppertime snack. 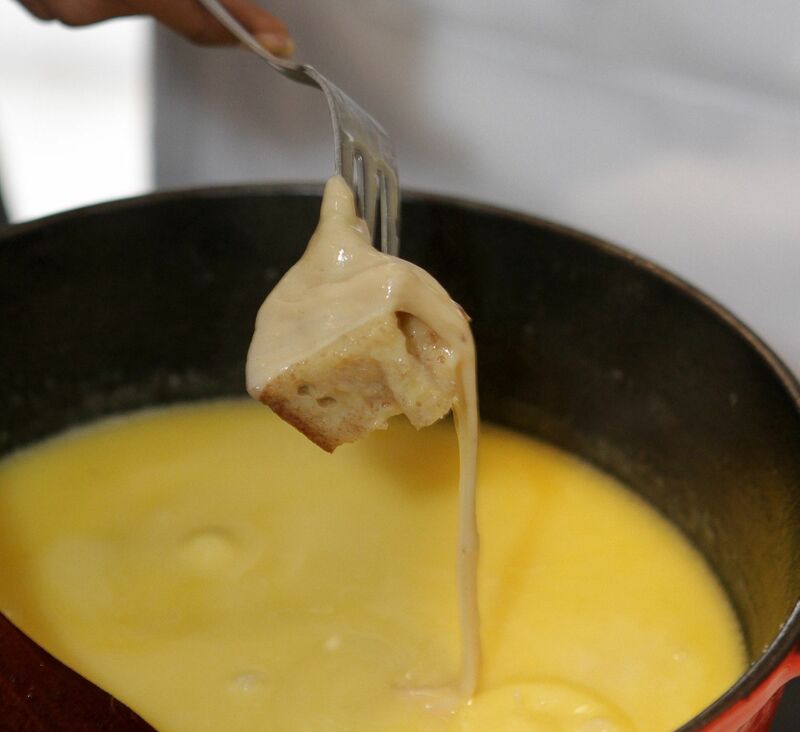 In France, cheese fondues are usually made with white wine. This recipe uses smoked tea instead of white wine, as the tannin content pairs up very well with the cheese fondue. Rub the inside of the fondue pot with the clove of garlic. Add the olive oil and onion and cook over low heat until onion is translucent. Add the tea and cook over low heat until reduced by half. Add the cheese(s) and cook over low heat until melted, stirring as necessary, until cheese is stringy and has a dropping consistency. Light the fondue stove and place the fondue pot on it. The heat must be hot enough the keep the cheese at a constantly melting stage. Pierce the bread cubes with the fondue forks and dip into the cheese fondue until well coated. Remove immediately and enjoy.